Assist fellow MCC members encountering a "bump in the road." Offer to help with grocery shopping or transportation needs. Suggest and develop an MCC program or event. Be a Program Sponsor. 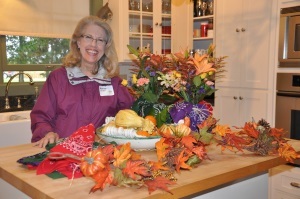 Host an MCC event either in your home or community room. Participate in the annual "Turkey, Dressings and Extra Helpings" holiday food and clothing drive for those in need. Serve as a member of our Board of Directors or on a committee. Spread the word about Mill City Commons and all we have to offer. If you would like to volunteer to help with any of Mill City Commons programming, please let us know! Our neighborhood is full of organizations doing great and important work. Browse the list below for more information on how you can help. If you know of a volunteer opportunity in our neighborhood that you would like to share with members, please get in touch with us. 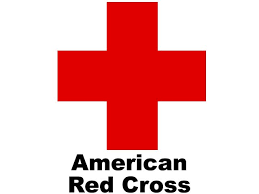 The Twin Cities Area American Red Cross is seeking volunteers to serve as Donor Ambassadors. Donor Ambassadors are the first people donors see when they arrive and the last when the leave the drive. Their job is to check in and greet all donors. Depending on the drive, Ambassadors can also sign up to sit with donors in the canteen area to visit and make them feel comfortable. Read the full description here. You can also email elizabeth.gelderman@redcross.org for more information. Catholic Eldercare is seeking volunteers at their Transitional Care Unit who are dependable, compassionate, understanding and have good communication skills. They recognize that volunteers play a key role in making a difference. Guest Services: Be the first person guests and families encounter as they enter the TCU. Assist staff with the phone, room numbers, ID badges, etc. Media Cart: Distribute a variety of reading materials to guests and their families. Transitional Services: Assist staff with guest activities, transport guests within the building and assist guests in getting settled or ready to leave. For more information, contact Diane Lucas at (612) 362-2492 or dlucas@catholiceldercare.org. 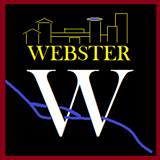 Get involved with West Broadway Crescent, a Common Bond Community. West Broadway Crescent is an affordable rental building in North Minneapolis. The goal is to help residents achieve their goals of stability, advancement and independence. To get involved or to ask for more information on these opportunities, please contact Kristina Kithinji at 651-290-6226 or email kristina.kithinji@commonbond.org. 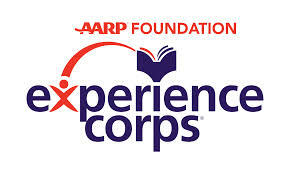 Experience Corps is seeking volunteers who would like to serve as literacy tutors and mentors to kindergarten - 3rd grade students in Minneapolis or St. Paul. You'll work specifically with students who are not yet reading at grade level and will benefit from one-on-one tutoring to help them make additional growth. You do not need to be an expert to volunteer as a literacy tutor and will be provided comprehensive training and support throughout the year. Please visit http://expcorpsmn.org/apply for more information and upcoming New Volunteer Information Session dates! Or contact Erin Simon (esimon@expcorpsmn.org // 612-708-5933) for more information. Volunteer to give youth access to art and a better future at FreeArts. Opportunities include mentoring youth, assistance with special events, donation of art supplies, and sponsoring a Free Arts Day. If you're an artist, you can also become a guest teaching artist and guide youth and mentors through the art-making process. MacPhail’s Giving Voice Chorus creates an opportunity for people living with Alzheimer’s disease in our community to join together with their care partners to connect through the power of music. Giving Voice shares, celebrates and remembers the joy of singing. Volunteers assist choir members 1-1 at weekly rehearsals and performances and help serve snacks and beverages before and after rehearsals to facilitate social connections and community. No previous singing experience is required. If you are interested in volunteering, please visit their website. Meal delivery drivers work on a schedule of their choosing – some drive weekly, others once a month. Kitchen and office helpers are needed to fill in for vacations – no experience necessary. Event planners and participants are needed for a variety of fund raising and promotional activities. Individuals with special knowledge of finance, HR, website design, social media, writing and graphic design. Outreach volunteers contact churches and other community organizations - they may also staff tables and speak at events. 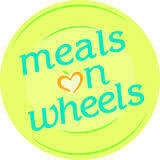 If you're interested, call 612-277-2529 or email info@eastsidemeals.org. You can also visit their website. 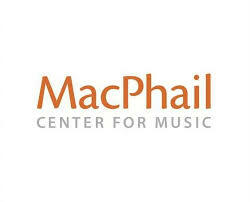 MacPhail Center for Music is seeking a volunteer to fill a greeter position. It’s a simple volunteer position, with flexible hours, in a lively environment, close to home. The greeter provides an important sense of openness and welcoming to all guests by greeting everyone and answering questions about room locations and directions. You can read the details of the job description here. Reading Partners harnesses the power of community volunteers to make a meaningful and measurable difference on students reading proficiency. The one-on-one tutoring model is backed by evidenced-based research proven to raise the reading proficiency of K-5 students who are up to 2-1/2 years below grade level in reading. Volunteer reading partners empower students to succeed in reading and in life by providing individualized, personal attention to each student. Commit to as little as one hour a week (usually Monday-Thursday, during school hours) at one of eleven schools in Minneapolis and St. Paul. Register on their website or send an email to volunteerTC@readingpartners.org. 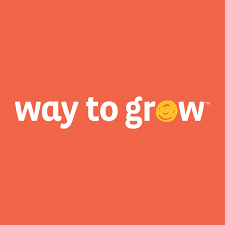 Way to Grow is dedicated to early childhood education. They are partnering with the city's "Talking is Teaching: Talk, Read, Sing" campaign. Volunteer opportunities include assisting in their preschool, mentoring and tutoring teen parents, providing administrative support or helping with their special events. They will even create a volunteer opportunity based on your interests and skills. Contact the school's Volunteer Coordinator, Ron Goldser, at rgoldser@gmail.com, for more information. To apply, visit the Minneapolis Public School's Volunteer Page, click on 'Apply' on the right side, and then follow the 'Community Member' section of that page and sign up for an orientation session. 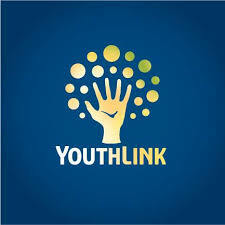 Meal service is Youth Link's biggest growing volunteer program and also currently their biggest need. have options for volunteers to serve breakfast or lunch, and flexibility with the dates. Please click here for more information. Please note that this opportunity is intended for groups of 3-5 volunteers, the cost associated with the activity varies from $80-$250 based on the type of meal, and the minimum age requirement is 21.